The Western Bulldogs Community Foundation are encouraging community members to get behind the campaign to end violence against women, through this year’s 16 Days Activist Challenge. The 16 Days Activist Challenge is a campaign led by Women’s Health West to end violence against women. Running from the 25th November to the 10th December 2018, people across Victoria’s western region are invited to register for the challenge and become a 16 Days Activist. Throughout the challenge, participants pledge to undertake actions that promote gender equality and the prevention of violence against women. Across the 16 days, participants can choose from a list of suggested actions or create their own to promote throughout the challenge and beyond. 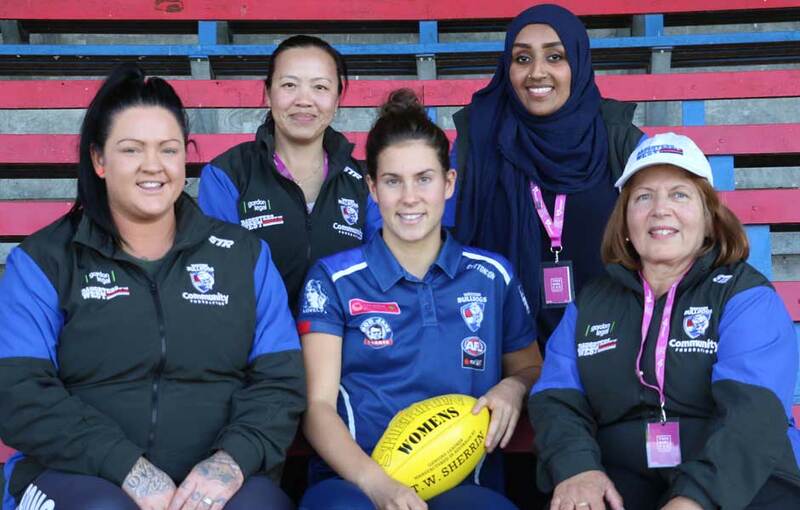 Western Bulldogs Community Foundation General Manager, Kashif Bouns said that the Club’s efforts toward gender equity and its relationship with Women’s Health West were key factors in supporting the 16 Days Activist Challenge. “Women’s Health West work tirelessly toward promoting gender equity, which we value incredibly highly within our Club and Foundation,” said Bouns. Any community member who shares their experience of the challenge with the Western Bulldogs Community Foundation’s Facebook or email will go into the draw to win a 2018 team signed Sherrin (RRP $300). To find out more or register for the 16 Days Activist Challenge, click here.